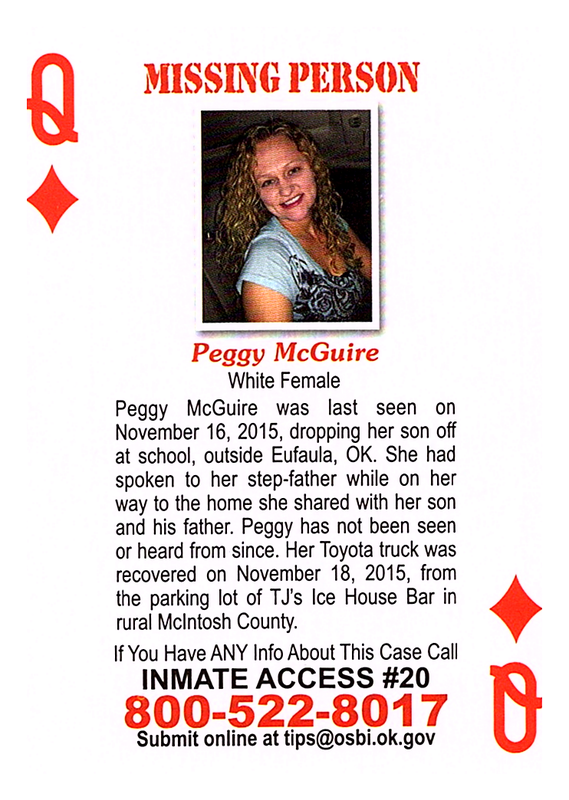 Peggy McGuire was last seen on November 16, 2015, dropping her son off at school, outside Eufaula, OK. She had spoken to her step-father while on her way to the home she shared with her son and his father. Peggy has not been seen or heard from since. Her Toyota truck was recovered on November 18, 2015, from the parking lot of TJ's Ice House Bar in rural McIntosh County.